Nigeria face defending champions USA in the quarter-finals of the 2018 FIBA Women’s World Basketball Cup in Spain on Friday. D’Tigress reached the quarter-finals after beating Turkey and Argentina in Group B to finish second behind Australia. They also narrowly beat Greece in the quarter-final qualifiers on Wednesday. But the USA have been unbeaten in the competition as they got all three wins to top Group D to hit the quarter-finals. According to FIBA statistics, both countries have only met once in the history of the competition – at the 2006 edition, which was the last for Nigeria before 2018. The Americans routed the Africans 79-46 in the encounter. The Americans lead the World Cup in points (96.3 points per game), assists (26 per game), field goal percentage (52.1 per cent) and free throws (86.4 per cent). The USA have six players averaging double figures per game – Breanna Stewart, A’Ja Wilson, Tina Charles, Nneka Ogwumike, Diana Taurasi and Elena Delle Donne. 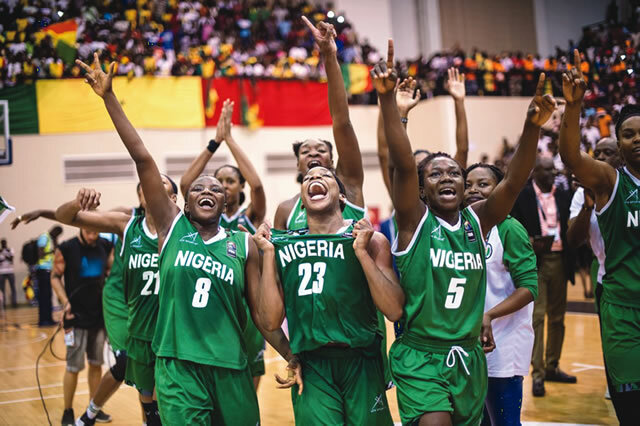 However, Nigeria rely on former WNBA star Evelyn Akhator, Sarah Ogoke, Atonye Nyingifa and Promise Amukamara to stage an upset against the world champions. D’Tigress guard Nyingifa said the match would be tough. We believe we can beat the USA after we have beaten some teams in the top 20 in the world.